Gentle & effective our cleansers & toners leave the skin refreshed. Activate your glow. Powered by anti-pollution technology. Award winning formula, this range is the ultimate anti-aging weapon. Friends & Family Clearance - Up to 50% off! 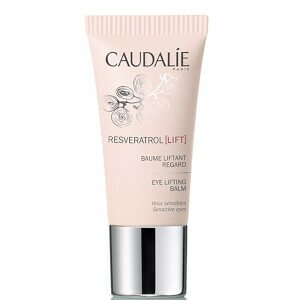 Caudalie is a cutting edge French skincare line, known for their exceptional patented anti-aging technology. Caudalie's story starts in France in 1995 at the heart of a vineyard with a husband and wife, Mathilde and Bertrand Thomas. They believe the grapevine and grapes contain exceptional powers for the skin and they use the best ingredients to develop beauty products that are not only effective but also natural and luxurious. Caudalie's story starts in France at the heart of a vineyard with a husband and wife. They believe the vine and grapes contain exceptional powers for the skin and they use these ingredients throughout their products. The vine produces Resveratrol naturally to defend itself, and this ingredient also provides powerful antioxidant benefits for the skin. The sap of the vine helps to erase dark spots to reveal a more radiant complexion. Caudalie products are formulated for those who don't want to choose between effectiveness and naturalness, between glamour and ecology. Named after a unit used to measure the quality of a wine's flavor, the Caudalie Paris skin care collection contains an array of products to address common concerns. Formulas are available to minimize signs of aging, reduce the prominence of skin discoloration, promote firmer skin in areas affected by cellulite and restore radiance to dull skin. Whatever your top dermatological skin care concerns are, Caudalie can help you address them using the natural nutrients of wine grapes and cutting-edge pharmaceutical science. Extracts from the grape seeds and vines are rich in antioxidants which help repair skin damage while also protecting skin cells against further damage from environmental assailants. The natural power of the grape is the basis for their products, an elegant and luxurious line of solutions for all kinds of skin conditions. Because not all skin can tolerate strong chemical based anti-aging treatments, Caudalie products make for ideal choices for those with sensitive and irritable skin, taking full advantage of the power of nature to nourish, protect and hydrate the skin. Highly effective, based on the proven benefits of antioxidants that come from the grape, they are gentle on the skin, delivering real results. Caudalie products can be mixed and matched to create a custom skin care regimen. Because the skin can suffer from a variety of issues, there is a large collection of Caudalie products that can address the most common ailments such as fine lines, wrinkles, breakouts, dullness, loss of elasticity and discoloration. Discoloration is one of the most commonly reported skin issues. Many people are unable to tolerate strong chemical bleaching agents. 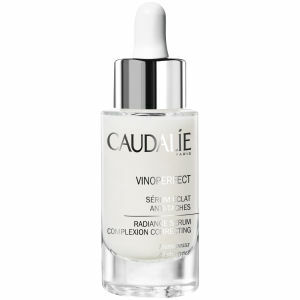 Caudalie Vinoperfect Radiance Serum uses extracts from the grape vine. These extracts are proven effective at lightening dark patches and spots without any negative side effects. The serum is a lightweight hydrating product which feels great on the skin. Regular use results in a brighter, more even skin tone. The signs of aging often appear around the eyes first. This is due to the thin and delicate nature of eye tissue. 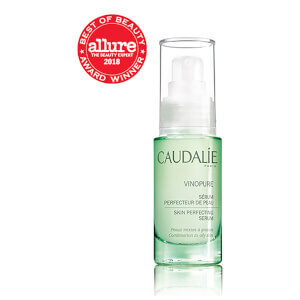 Caudalie Vinexpert Anti-Aging Serum Eyes and Lips instantly tightens the skin around the eyes in addition to reducing the appearance of puffy under eye bags and dark circles. The product also works well on lip lines. 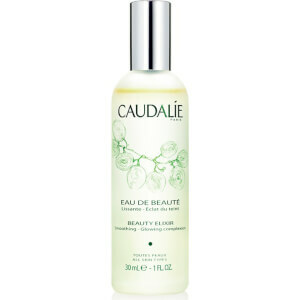 Out of all of the Caudalie products, Caudalie Premier Cru is the absolute finest, when only the best will do. 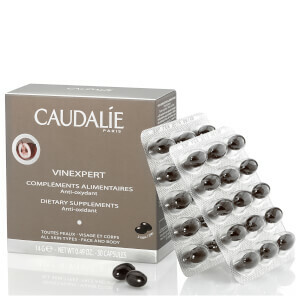 Caudalie formulated this product with each of its patented ingredients in order to tackle all of the signs of aging with a powerhouse combination of antioxidants from the grape. This is a superior anti-aging cream that protects the skin, improves tone and elasticity, smoothes wrinkles and brightens discolored skin. Where to buy Caudalie products? Sinstore is an authorized retailer in Caudalie products. Although 20 years have passed since that first meeting between the founders and chief scientist of Caudalie Paris (Professor Joseph Vercauteren, a well-respected professor of pharmacy), the brand remains completely devoted to their original goal--to make highly effective therapeutic skin care products using the finest natural ingredients to benefit both the planet and the men and women who used the formulas. Today, the grapes that serve as the basis of the products in the collection are still grown on the Thomas' farm and every product is manufactured with processes that are as green and sustainable as possible.